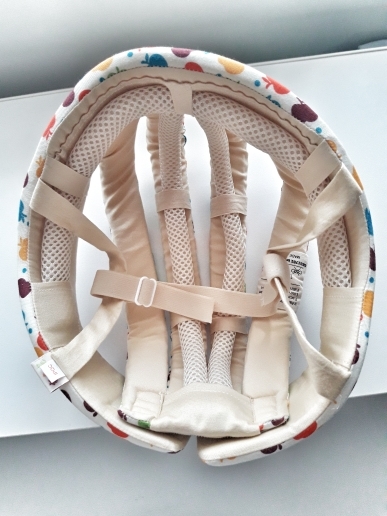 Striking Anti-shock Performance: The infant adjustable safety helmet is made of the environmental-friendly anti-shock foam 1XPE which is non-toxic without bacteria and odor. The material is soft and bacteria-proof. What's more, it has excellent anti-shock performance which can effectively avoid or reduce the damage which is caused by shock to baby's head. How does it works and why toddlers need to wear this safety cap? 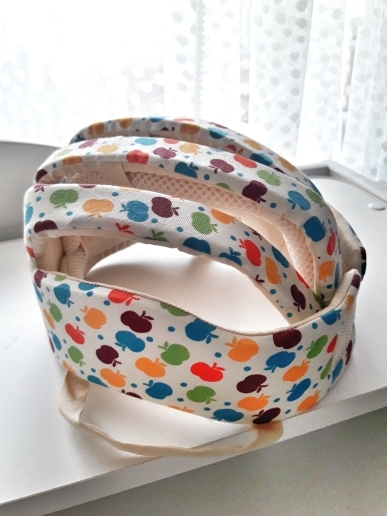 This helmet created to protect your baby’s head, when he/she learns to walk and crawl.The cushion provides protection and safety for your kids to confidently explore the surroundings, and you DO NOT need to become the overprotective parents who keep the baby in a bubble away from danger. Baby will not unafraid to walk and explore all unknown areas. Applicable Age:Baby from 8 to 80 months. Size:one size can be adjustable; with head circumference of 43cm to 51cm /from 17 in to 20 in. Materials:100% Cotton, filling multi-functional foaming material IXPE. 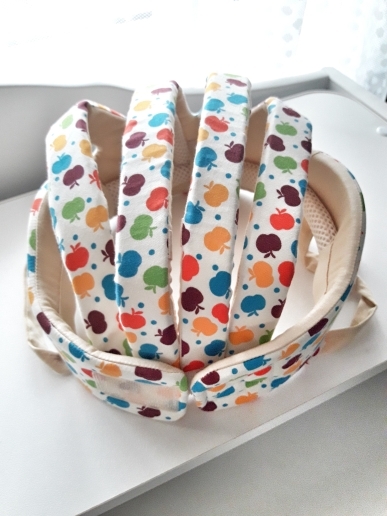 (1)This protective hat can’t be used as professional safety helmet, so please use the professional safety helmet when riding on a bicycle, electric bike and motor bicycle and playing outdoors. (2)The infants shall be taken care of by adults even with this protective hat. (3)It shall not be pressed by other goods and shall be kept away from heat source. 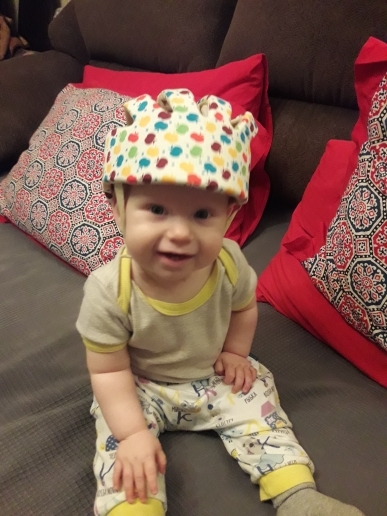 (4)Our protective hat is soft and comfortable, but some infants still would not like to wear it. It doesn’t need to worry about it, because they will get used to it after several times.